and 1930s. He recorded musicians in Ghana, The Gambia and Senegal, focusing on the music of the professional musicians - the griots. 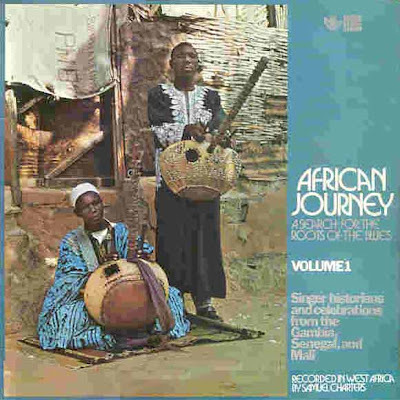 The LP recordings feature two kora tracks by Jali Nyama Suso, plus other songs performed by griots on the balafon and xalam. In addition there are also some superb shaped-note hymns and choral pieces performed by a Ghanaian choir, as well as recordings of street celebrations, Ewe drumming, a Jola dance, plus great liner notes and photographs. Originally released through Sonet, it is a pity that these albums have never been re-released on CD, for they form part of an invaluable resource on early recordings of griot music. Charters also published a book which described his trip through West Africa in detail - The Roots of the Blues. London: Quartet Books. 1982. Hey, matsuli, my friend Tim Clifford told me that you had digitised copies of these records. Great to have them to hear! Sam's book, 'The roots of the Blues' is actually dedicated to me and my mother! A pal gave me a digitised version of the What's Going On mutitrack, so I isolated the bass drums and congas - classic James Jamerson! 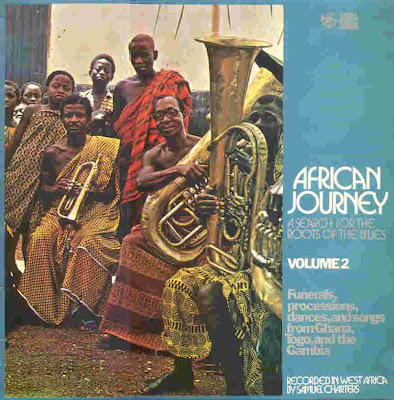 I have this African journey lp (volume 2) and it's a great post. Did you post Volume one too? It didn't download for me. Just curious if it was posted. The download file is vol 1 &2. Than you. It's fantastic, that is still works.